SACRAMENTO, Calif. — President Donald Trump threatened Wednesday to withhold money to help California cope with wildfires a day after new Gov. Gavin Newsom asked him to double the federal investment in forest management. More than half of California’s forests are managed by the federal government, and the letter noted the U.S. Forest Service’s budget has steadily decreased since 2016. In November, the deadliest U.S. wildfire in a century leveled the California town of Paradise, killing 86 people and destroying about 14,000 homes. 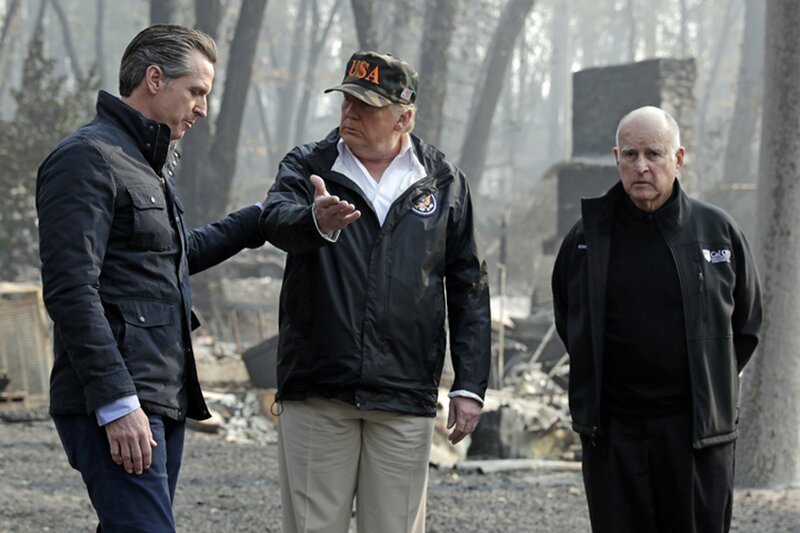 Trump toured the fire devastation with Newsom.